Are you ready for the classy condominium lifestyle? Luckily, we understand the condominium buying process - and it can definitely be unique, in comparison to a single-family home buying process. We offer a variety of loan options to meet your needs and a smooth process for a pleasant homebuying experience. 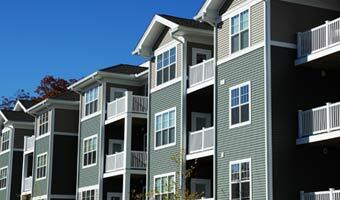 What Are the Benefits of Owning a Condominium? What Should I Know About Waterstone Mortgage's Condo Loans? What Does the Application Process for a Condominium Loan Look Like? To learn more about this process, and how you can get started with a condominium loan application, find a mortgage loan professional near you.